Home › Valley of flowers › Minimum age to visit Valley of Flowers, Whether kids can be taken for Valley of Flowers trek. This is a common question coming across for couples having kids and wants to visit Valley of Flowers. The answer is ‘Yes’ they can be taken along but not infants. The minimum age should be such that the kid should at least enjoy. There is no problem as far as the trekking part is concerned as porters are available throughout the trek at a very reasonable cost of Rs. 700-1000 per day (Rates of year 2012) depending upon demand and supply. You can see the picture and kids actually enjoy the ride some of them even fall asleep during the journey. I feel the minimum age for a kid to visit Valley of Flowers is 4 years. But there are many other things that are to be taken care of when you are travelling along with kids like clothing, basic medicines and other accessories for kids as it will be hard to find these things at Ghangaria being very remote place. Temperatures in Ghangaria are very low especially during night times and it is highly recommended to take clothing accordingly for your kid. I have seen kids of age 10-15 years does trek more efficiently then elder ones as they have more energy. I will recommend you to not to take your younger kids to Hemkund Sahib by trekking as it is a tough trek and situated at an altitude of 13500 feet. So if you have kids below 4 years we recommend you to not to take him along for the Valley of Flowers trek. However I have seen Sikh people taking even infants to Hemkund Sahib for religious purpose. The decision is purely yours. We also organize trekking tours to Valley of Flowers from Haridwar. To book a seat kindly fill form at our contact us page or on a form on right side bar. To know the fixed departures of 2013 kindly click here. 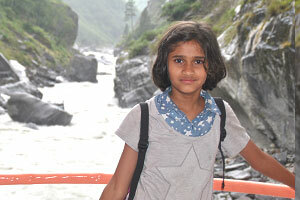 Hi I am Sanskruti (aged 10 years). I want to tell how my trek plan started. First my dad was going with some of his friends. But due to various reasons they told that they can’t come. My mom gave an idea that my brother can give company to him. Then I also told I will also go with my brother & my father. We are 2 Adult and 1 Kid(6 year) planning to visit Valley of Flowers in mid of August. Please advise how many days are required. And also is it safe to go with self drive from Delhi? We are two people planning to visit Valley of Flowers in mid of August. I am planning to join this trek in month of August with few friends aged 30-35 (approx. people 5) and one kid aged 6. I am asthmatic and on prescribed medicines. Please advise whether I can take this trek and what all exercise should we all take up before going for this trek. If you are asthmatic you should first consult your doctor about the trip. A detailed itinerary has been sent to you. Please check and revert. We are a family of 8 – 2 senior citizens, 4 adults, and two kids aged 2 and 8. A detailed itinerary has been mailed to you, please check and revert. Please check Senior Citizens in Valley of Flowers and Minimum age to visit Valley of Flowers, Whether kids can be taken for Valley of Flowers trek. 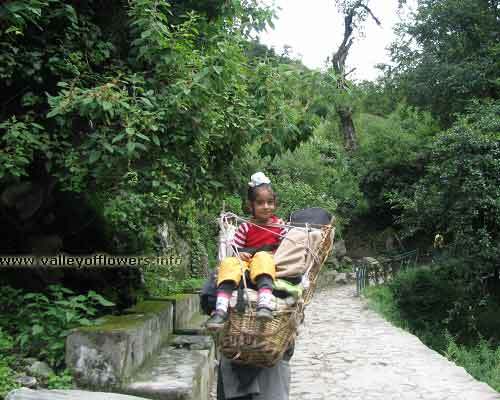 pages to know how senior citizen and kids can manage their trip in the Valley of Flowers. Hi, I have mailed you the details of the trip i am planning to undertake in Sept 2015. Please send your response to the same. Thanks. Thanks, the response has been sent to you sir. 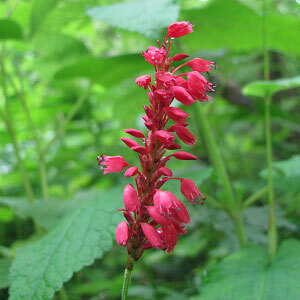 It is not recommended to go to Valley of Flowers in the month of June for various reasons. First reason is that you will find very less number of flowers during this time. The second reason is that we share same base camp with Hemkund Sahib pilgrims, and June is the time when Sikh pilgrims comes in huge numbers. So village Ghangaria and the trek between Govindghat and Ghangaria and between Ghangaria and Hemkund Sahib will be too much crowded. There is one solution to this. You proceed the latest possible date in the month of June. I personally do not organize trekking tours to Valley of Flowers in the month of June. 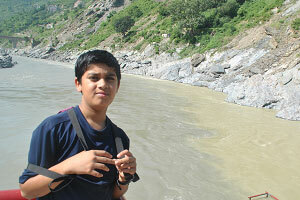 My first trip will be starting from Haridwar on 30th June, 2013 Sunday. Kindly visit our Valley of Flowers Tours Packages to choose a departure suitable for you.